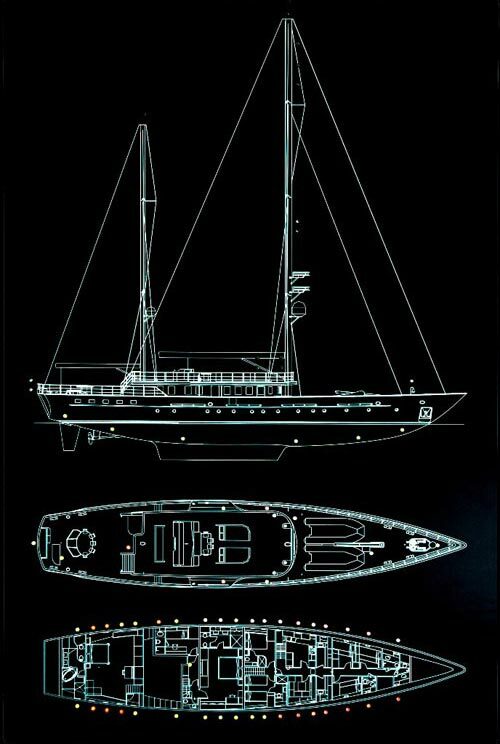 Yacht MATA MUA is a volumous motor-sailor style superyacht which is 38.50m (126' 3") in length with a beam of 8.09m (26' 6") as built by Scheepswerf Friesland. 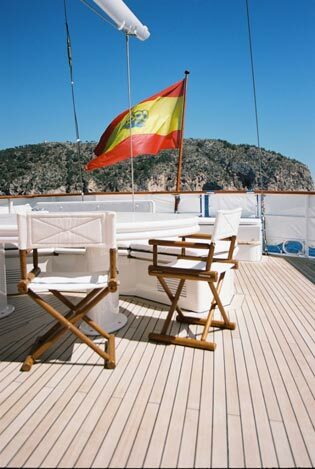 Currently a Spain charter yacht, she provides the romance, tranquillity and relaxation of a sailing yacht whilst being enhanced by the practical stability, comfort and space of a motor yacht. 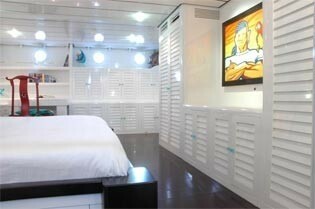 Superyacht MATA MUA is able to accommodate 8 charter guests in 4 cabins; two with double beds and two with twin beds. S/Y Mata Mua was built with a strong steel hull and aluminium superstructure. 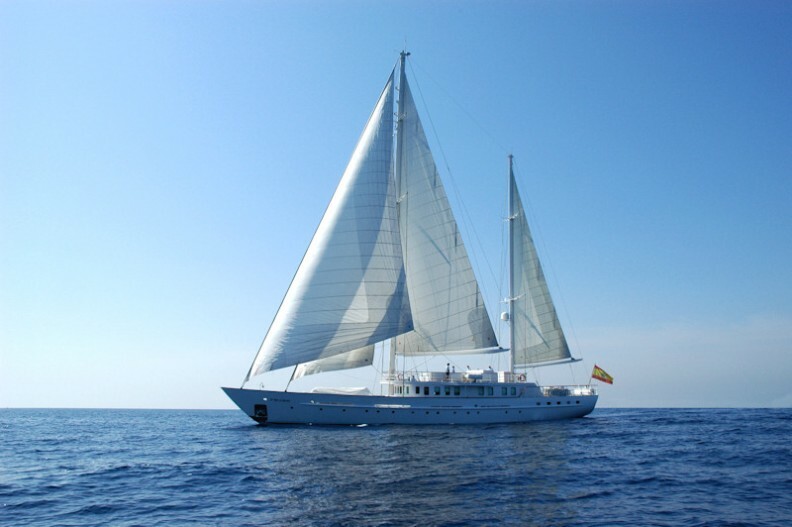 She reaches Maximum speed under power 12.6 knots, and a maximum reported speed under sail 14.6 knots. 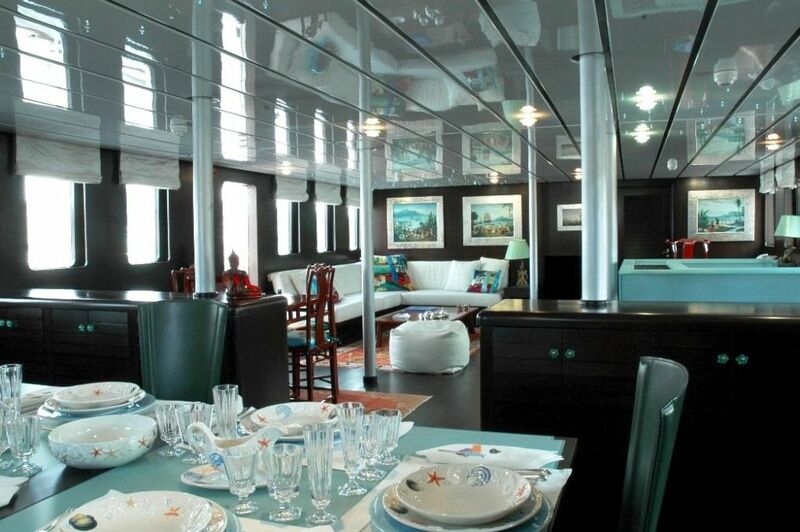 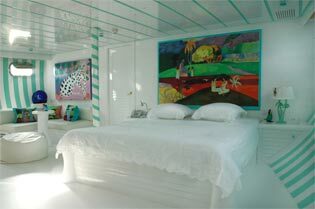 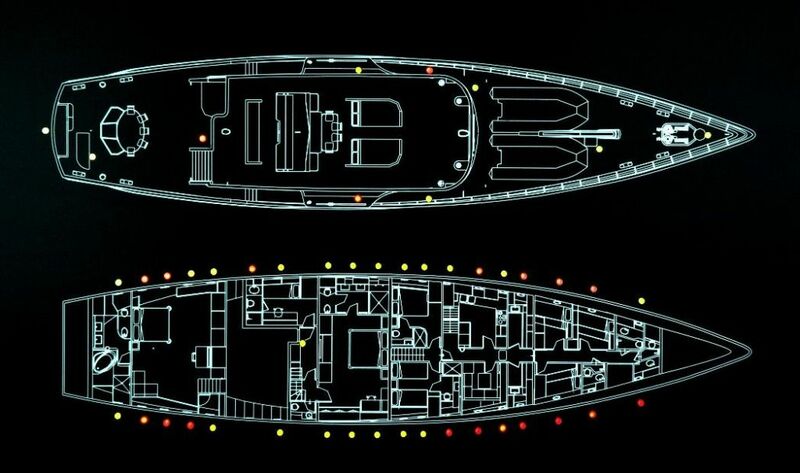 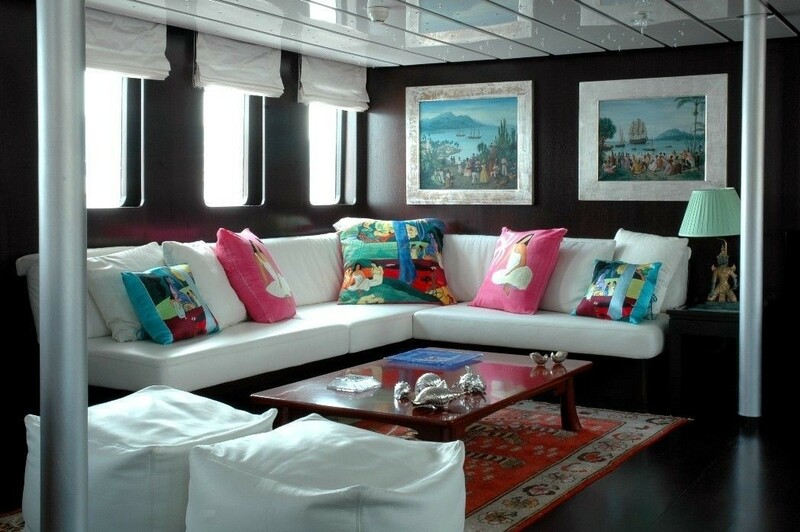 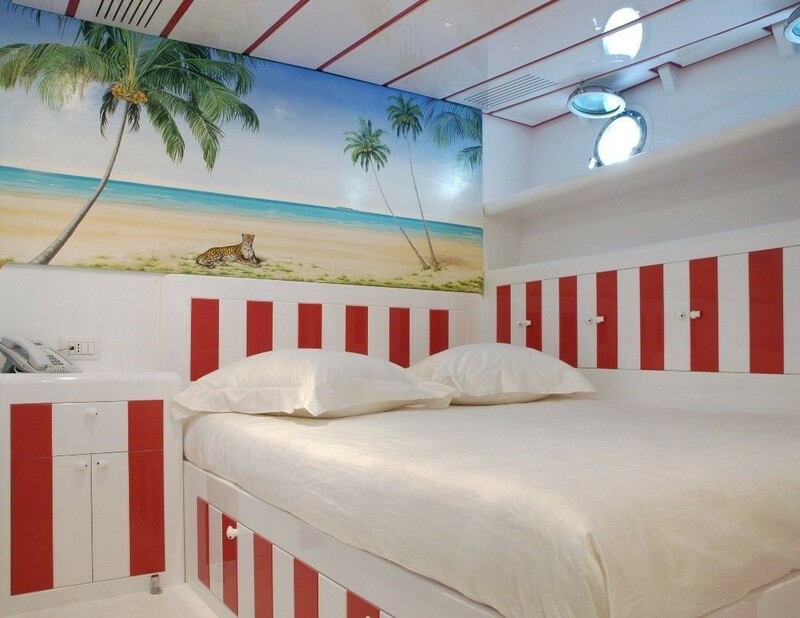 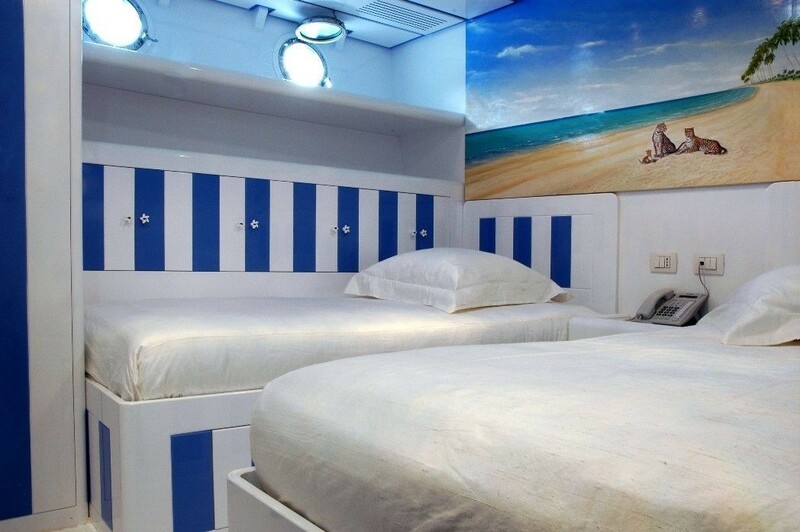 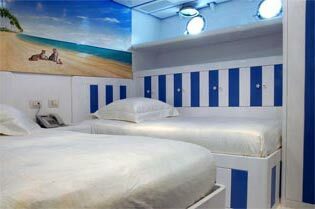 The interior of Yacht MATA MUA has been transformed and now has a contemporary and light feel. 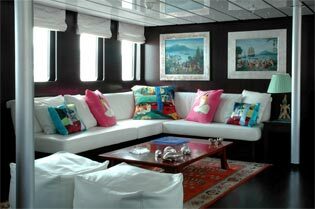 She has an inviting entertaining salon which is open to the dining area and exterior flow. 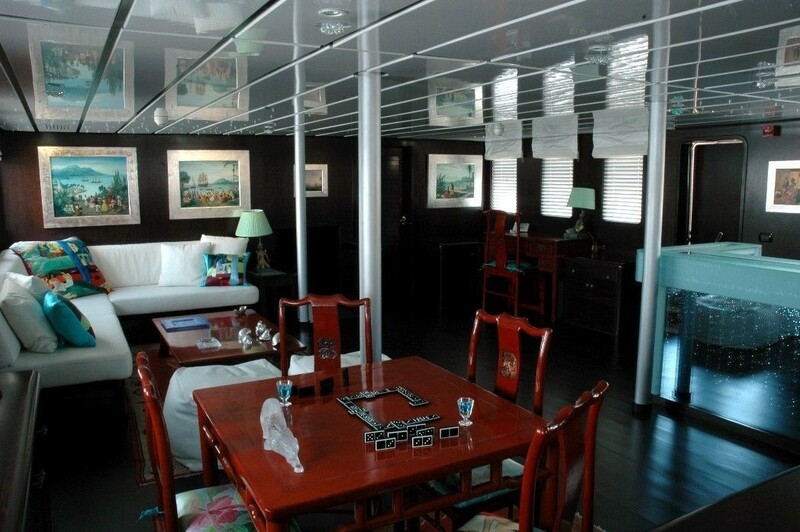 Her spacious interior leads to an equally spacious exterior, featuring a sundeck fly-bridge which is an ideal area to witness the passing ocean vistas. 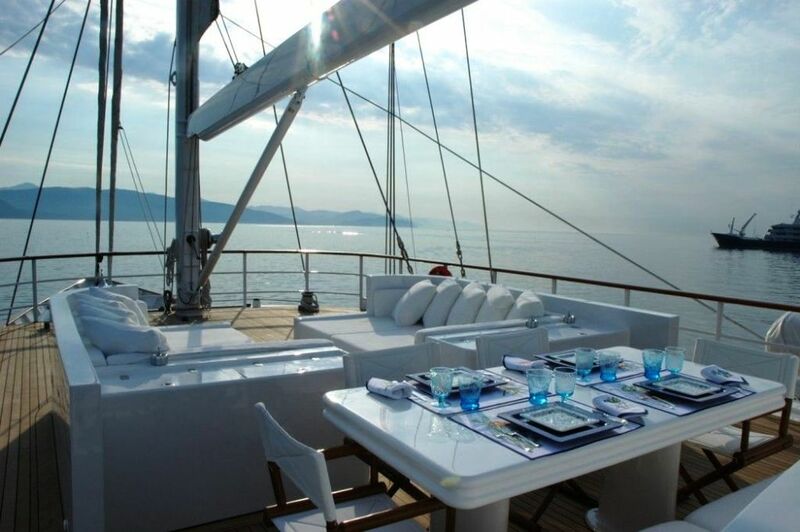 On deck, the superyacht Yacht MATA MUA retains very generous charter guest areas with al-fresco dining area, sun bathing area and more. 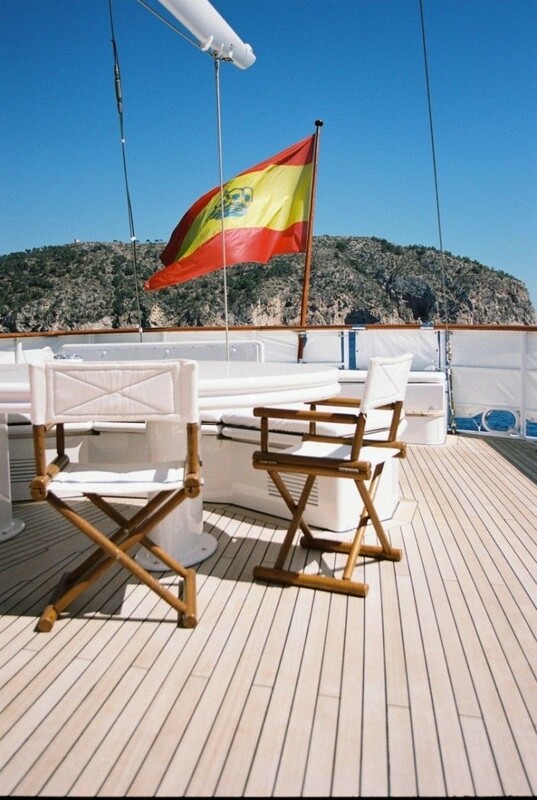 MATA MUA is currently one of the rare large superyachts which, due to her Spanish registration, is legally able to charter in Spanish waters and the Balearic Islands: Mallorca (Palma), Menorca, Ibiza and Formentera. 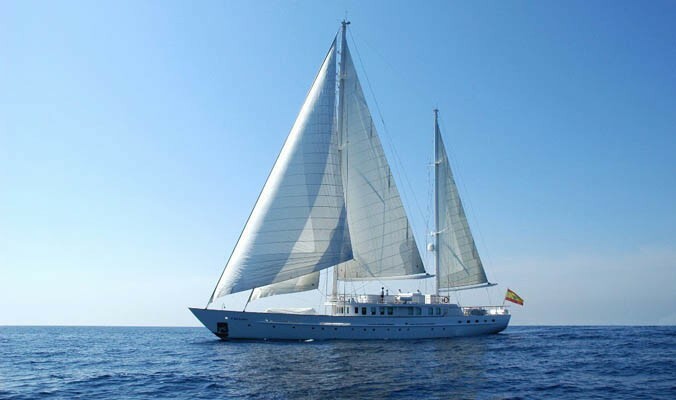 To complete your Spanish sailing holiday experience, this yacht also has a dedicated Spanish crew with all the local knowledge required to cruise around and find the choice spots. 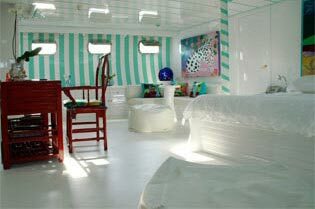 Luxury Yacht MATA MUA can accommodate a maximum of 8 charter guests in two twin cabins and two double cabins, including the master stateroom.